Wheel diagram templates for PPT allow you to edit and reuse the wheet diagram in your Powerpoint presentation. If you are looking for a wheel diagram maker for creating wheel diagram for PPT, you will have a hard time finding a better option than Edraw Max. This page will offer you a guide about how to create wheel diagram templates for PPT in detail. 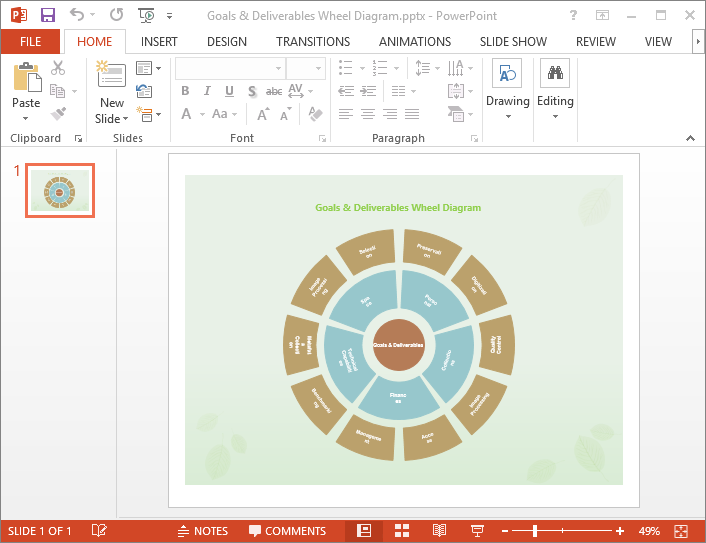 Creating wheel diagram templates for PowerPoint can be as easy as a pie with below 4 steps. Click File menu and open a wheel diagram template. 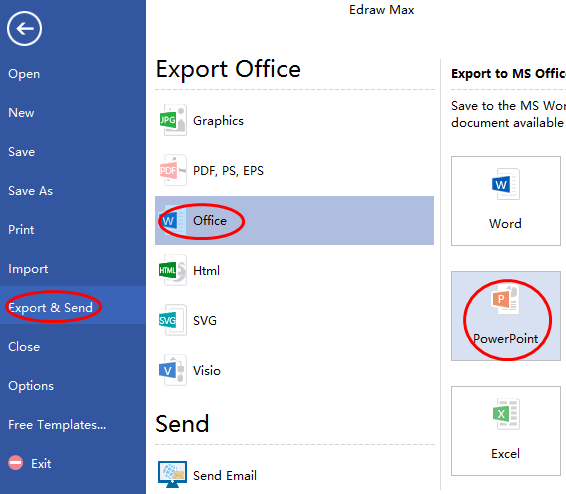 Click File > Export & Send, select Office > PPT format. Browse your computer and choose a location to save your PPT wheel diagram templates. Below is the created example of wheel diagram template for PPT. Edraw Max is smart and powerful wheel diagram maker. Thousands of pre-made circle shapes and various templates make creating wheel diagram become an effortless thing with just several clicks. And its smart floating button enables users to add circles automatically with no need to draw a circle by themselves. Download Edraw Max and try to create your own diagram within seconds!